We're taking a look at Zombies in the new Blackout Battle Royale mode from Call of Duty Black Ops 4! Learn all there is to know about this unique addition to the game. 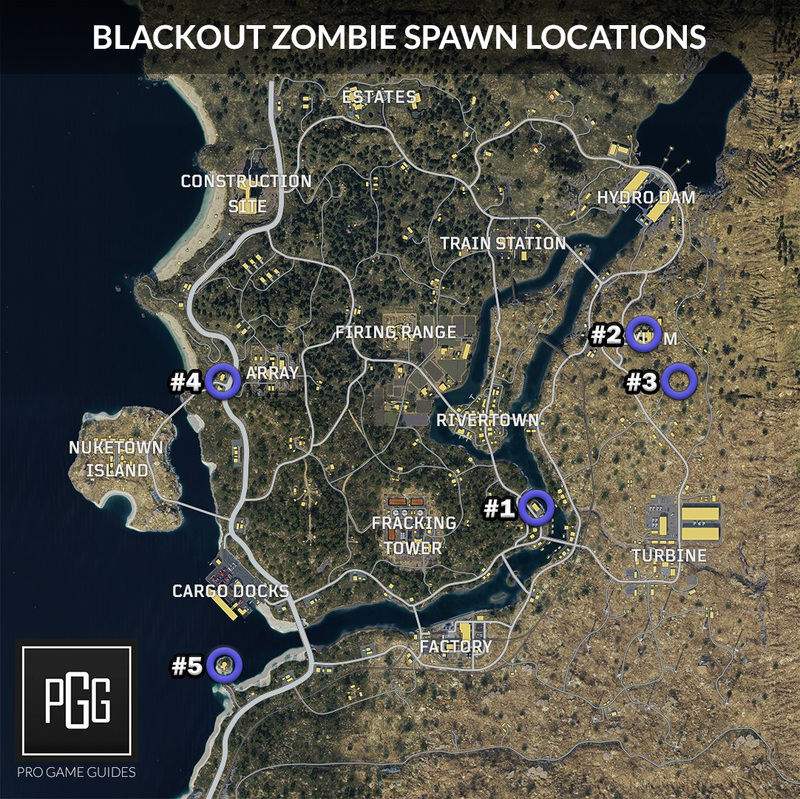 Blackout, the Battle Royale mode in Call of Duty Black Ops 4, has areas with ZOMBIE spawns. Our guide will run you through all of the Zombie locations, loot, spawns, special weapons, and discuss the Mystery Supply Stash in this game mode. Call of Duty Blackout has finally been released! The game is largely the same as the beta, but there's been a few changes to armor spawns and some differences in graphics. There's been a few more weapons added to the game, but other than that it plays very similarly to the beta. Get better at Call of Duty's new Battle Royale with our Blackout Tips and Tricks Guide! Zombies do not always spawn at each location. They spawn randomly and with them spawns a Mystery Supply Stash that has a lot of great items. You'll have to kill an entire wave of them to unlock the stash, so be ready for battle! If you are wanting to get into some Zombie action, look for the glowing blue beacon while you are in flight which will alert you that they have spawned there. Zombies are not inherently aggressive, but they will attack you when you get close or make a lot of noise (gunfire, grenades, etc). Zombies deal around 10 damage per hit in the early game, so keep your distance and try not to get ganged up by them. As the game progresses, the Zombies are supposed to get tougher and will likely deal more damage and take more to kill. 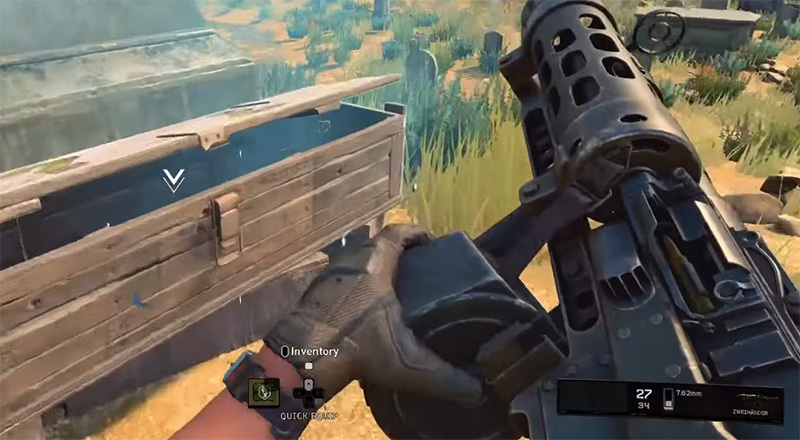 Learn more about armor and healing in this game mode with our Blackout Armor and Healing Items Guide! As far as we know currently, you can get two special Zombie based guns from these areas and spawns. Zweihander is an LMG styled weapon that uses 7.62mm ammunition and has two barrels on the front. This is obviously a powerful weapon that can spam people down quite quickly. Then there's the Ray Gun. This starts with 20 shots and does quite a bit of damage when you hit someone with it. You cannot find more ammo for this weapon, so once you've used it up then you'll be out of luck. The gun's fire rate is kind of slow, and it has a bit of bullet travel time before the projectile actually reaches its target. It's a better gun for up close battles. The Cymbal Monkey is a key item that is usable against Zombies. This item only drops in these specific Zombie areas and from Zombies themselves. The bomb when thrown on the ground attracts Zombies and will either blow them up or turn them into Crawlers (Zombies without legs that can still crawl and attack you). You can then easily shoot them when they are on the ground because they won't be able to get to you quickly. This is a good way to save some ammunition, and they are in your grenade slot. You can be hurt by your own Cymbal Monkey, so be sure to stand clear of it if you've thrown one down. In these Zombie areas you will be rewarded with the Mystery Supply Stash! You are pretty much guaranteed to get at least level three armor which dampens a lot of damage. You also are very likely get a Trauma Kit that will full heal you AND give you +50 extra health that brings you to 200 hp. Check out some awesome information and gameplay with Zombies from MrDalekJD's video below! First, here's a map of where we currently know Zombies will spawn and have the Mystery Supply Stash. Keep in mind that they don't always spawn, just be on the look out for that blue beacon showing where the Mystery Supply Stash has spawned. I'm going to talk a bit about each of the spawns. The number corresponds with the list below. Boxing Gym: This location is south east of Rivertown, and is from Black Ops 3. It's a pretty small area, but you can find Zombies and a chest if you head here. Verruckt: This is at the spot labeled Asylum on the map. Verruckt shows up in multiple of the Call of Duty games: World at War, Black Ops, Zombies, and Black Ops 3. Graveyard: This is an unnamed location and can contain some Zombies. The area is pretty much a generic styled Graveyard and has a lot of tomb and gravestones. It's pretty open, so you'll have to play it safe if any players are in the vicinity. TranZit Diner: On the west side of the map you will find TranZit Diner. This area is from Call of Duty: Black Ops 2. It is a pretty standard 60s era diner with all of the neon lights you'll be used to with this type of place. Lighthouse: At the very south west of the area you'll find the Lighthouse which can spawn you some Zombies. This is from the original Black Ops Zombies DLC called Call of the Dead. That's everything for now, I will be adding to and updating the information in this guide as the game is updated or we learn more! COD Blackout Challenges List – Darks Ops Challenges & How-to Complete Them!